If you can’t find a way, then make a way! Starting a business, any business is a brave step. But how do you manage a start-up business as well as find customers or put in place a customer acquisition strategy on tight or even zero budgets. Working with early stage and start-up companies I know first-hand how limited resources can be. The tendency for many small businesses is to focus on the product. They add in more and more features or take comfort in a well designed website or just even they talk about strategy rather than putting in place a plan to find and sell to customers so the business can getting on track to achieving business success AKA revenue generation. The below list is some actionable business tactics to get your small business sales pipeline moving and put you on the track to success. Product to marketing fit is critical to any business success however a business start-up should never try to be a great product to satisfy all buyers’ needs, this will simply not work as no one product will be for everyone. So step 1 is to try to focus in on one customer target group. It will make the business look more focused, knowledgeable, and professional plus it allows the business to channel its efforts into making one target group happy. The key now is to do a customer targeting exercise (figuring out who your customers are and what they want). I am not saying this is easy, especially if your business is new or you only have 1 or 2 beta customers. Brainstorm on what set of buyers or people who might need your product now by matching it back to what problem your product solves, this is sometimes called your USP- unique selling point or Value Wedge. Also check if it is a fluid market (low hanging fruit to be gathered) by doing some Google searches on related keywords. Balance the fact that you don’t want to define your target market so small or so tightly that it’s something people won’t search for. Think in terms of keywords, search terms or existing topics being discussed on forums or industry buzz. The lesson here is stay focused on executing the business model and don’t get distracted. A good example of this is a company in the SaaS space I work with, received a phone call from a big company about doing a demo of their product at their offices which would include a customization element. Even though the meeting went ahead, it came to nothing because my client company was not big enough nor could afford to serve companies in the non-SaaS way. They simply were not big enough to fulfil all the product amendments for this one customer or have a dedicated team to work on the project at the stage where they were trying to find the best product to market fit. This distracted the team for over 6 weeks when they could have been doing more productive lead nurturing work. 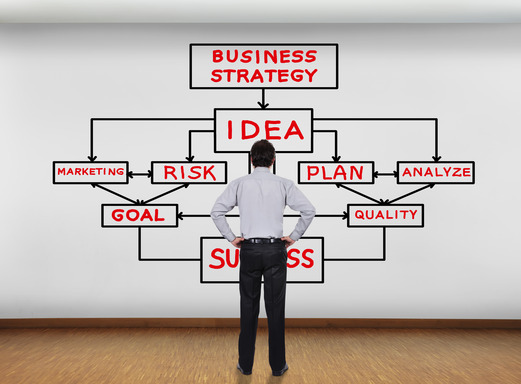 A business plan will at the very least serve as a guide or a roadmap along the way. Too many small businesses talk about being agile or nimble. That is a process or a culture; it is not a business model. What this can often mean is that their limited resources are waiting to respond to the next challenge thrown before them. I am not suggesting that this is wrong as sometimes it is necessary but not all the time so try to build a business plan. The goal is to develop a sound business strategy that provides a reference framework to keep the business on track to grow by building its awareness, developing brand consideration, attracting new customers and closing sales deals. 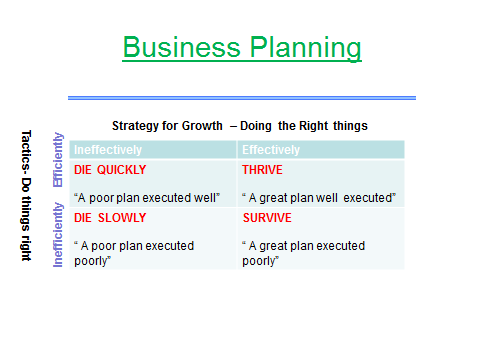 Tip: Use this Free Business Tools to focus on your business plan to success, time is precious, do not waste it. A branding is not just for large corporations; from tiny acorns big trees grow! This does not mean spending vast sums on branding but rather it reflects your mission, values and what your product stands for. The major action here is to determine the core attributes of your brand and promote this .Always strive to present your company in the same way, carve out an awareness level on what your brand represents (product innovation, cost leadership, service leadership ) so that it contributes to the overall business in a cost effective way. The old adage about content is king is true. Along with being a product or service company also think of your business as a content publishing house. Articles get search traffic via targeted keywords (SEO) but just as important it positions your brand and business as thought leaders. But you have to stand out from the crowd to get attention. Articles need keyword optimised titles PLUS great content, make them factual or research based to further boost readership. No point in publishing articles as a box ticking exercise, make sure the articles you publish are the best so people want to read or download them or don’t bother. Blunt but true. As a start-up you probably will read loads on inbound marketing, social media or social selling. Being social media aware is more than a few twitter posts or Facebook likes. Every business needs to have a presence and visibility on a variety of Social Media platforms. Create a social media plan (based on article sharing) and then schedule your social media activities so that you build relationships with social influencers, potential prospects, customers and the public. Learn the art of social selling – share to receive. 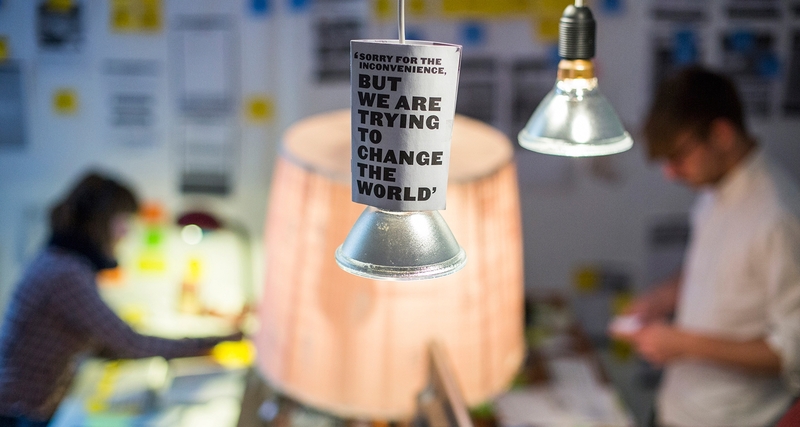 Like most start-ups you have a lean team so make sure you know what everyone is doing. Who is driving customer acquisition, marketing and sales? Revert back to your plan and prioritise the key initiatives (revenue and product) including major tasks such as content creation, social media interaction and social selling. Time management and knowing which plates to spin can sometimes be complicated for a small business as they dash around from pillar to post. Find and use the right tools, free business tools like Zoho or Trello should save you time or tears. Finally from me to you, a message of sincere best wishes in your business venture. Happy hunting!